Ideal for teams, camps and schools, these 50/50 Cotton/Polyester custom sweatpants are soft to the touch. 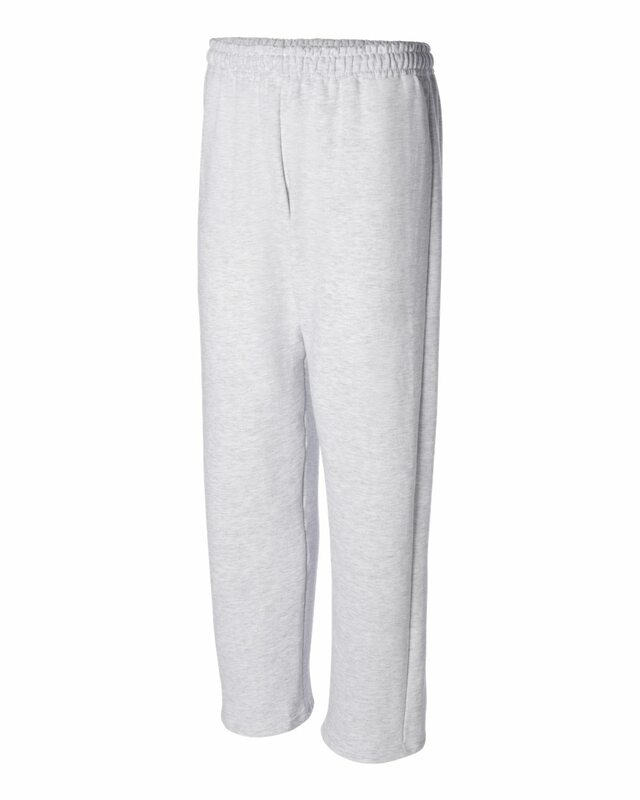 A slightly tapered leg with open bottom and elastic waistband with draw-cord give these custom sweatpants a perfect, comfortable fit. 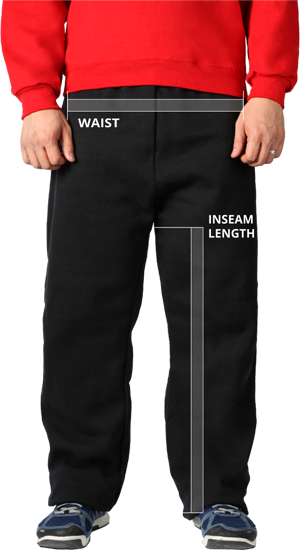 Made with 50/50 Cotton/Polyester material, these No Pocket/Open Bottom Pants deliver a soft feel with a comfortable fit. These custom sweatpants feature a slightly tapered leg with open bottom and covered elastic waistband with drawcord to deliver the perfect fit. Air jet yarn gives these custom sweatpants a softer feel with no pilling, ensuring they maintain the same great look even after several washes.